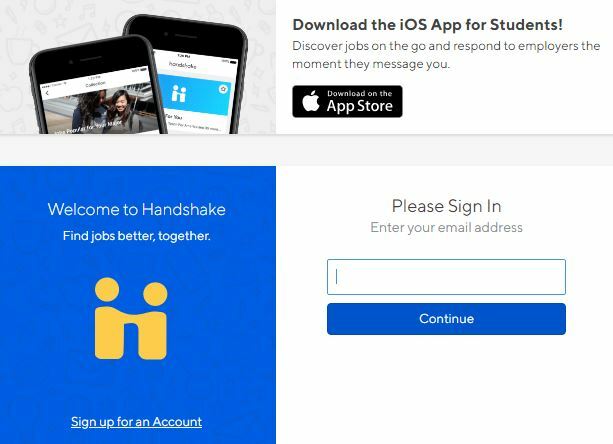 Managing all your internships/jobs with Handshake at no cost. Providing a more engaging and user-friendly recruitment experience. A mobile experience - update your job postings, view applicants, and more all while on the go using Handshake's responsive design. Returning employers click on the image below to to login. New employers click HERE. Want more information? Visit Handshake's Employer Site here.